At INoV8 Handmade Furniture we love to push the boundaries and experiment with different materials in bringing stunning pieces that will fit into any home. With this piece we use a base made from our own formula concrete mix. Into this we have cast a curved concrete piece of composite timber to create an effect that can only be achieved using a wet material. 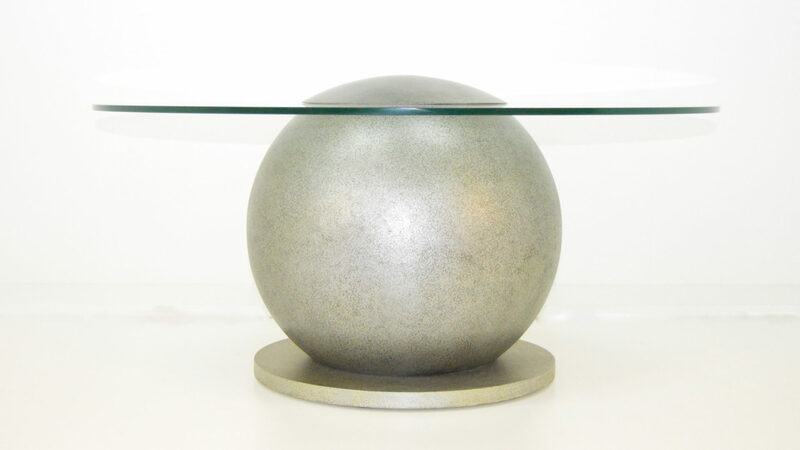 Once this has cured the table base is polished to a smooth almost stone finish bringing out the beauty of the textured layers of sand, stone and cement. To finish the concrete we have used a matt stone sealer which completes what is an absolutely breath taking piece.